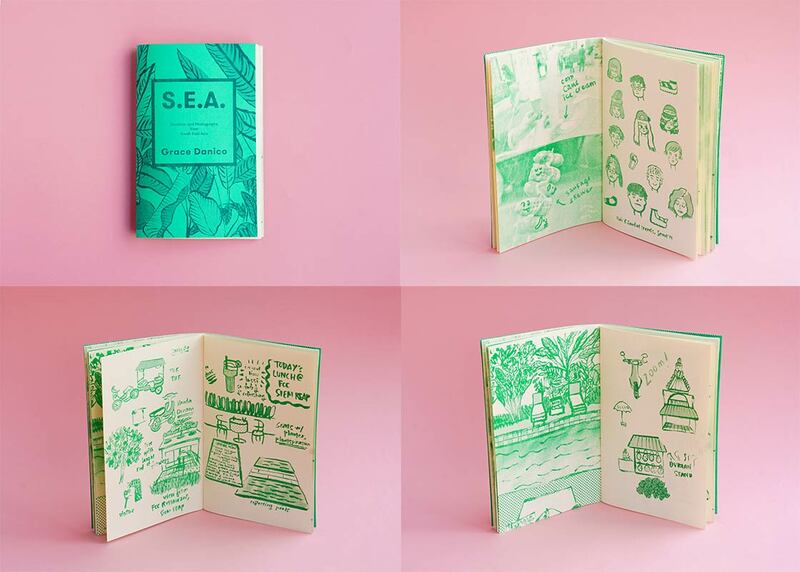 Grace Danico believes documentation is key to preserving creative culture. This commitment led her to earn a Master of Library and Information Science degree from the Pratt Institute in 2013. 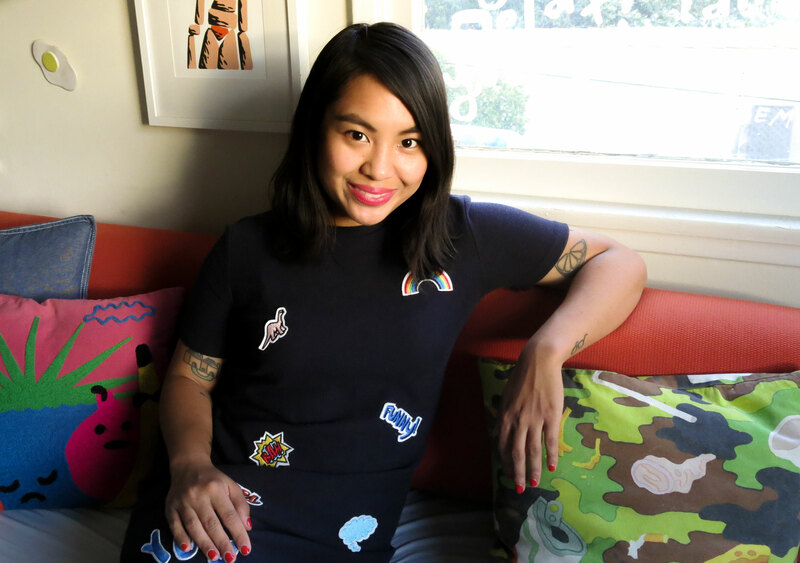 Today she is an archivist for a private collection and also serves as the press and publications subcommittee chair for the Los Angeles Archivists Collective. 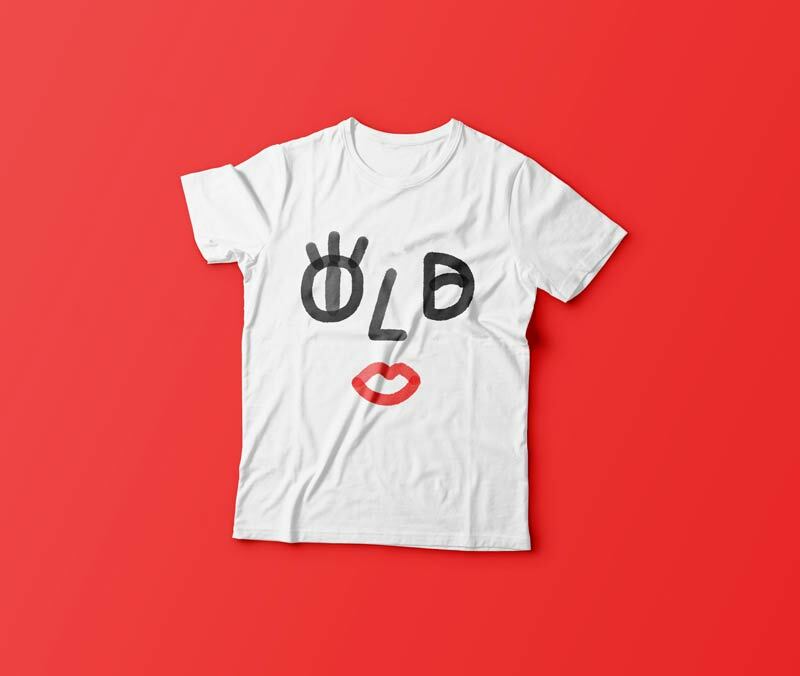 In addition to her archival work, Danico has a bustling side hustle as a freelance creative specializing in design, illustration, animation, and art. As part of our L.A. series, we talked to Danico about the many ways her hometown influences her work and why preservation is a crucial form of storytelling. 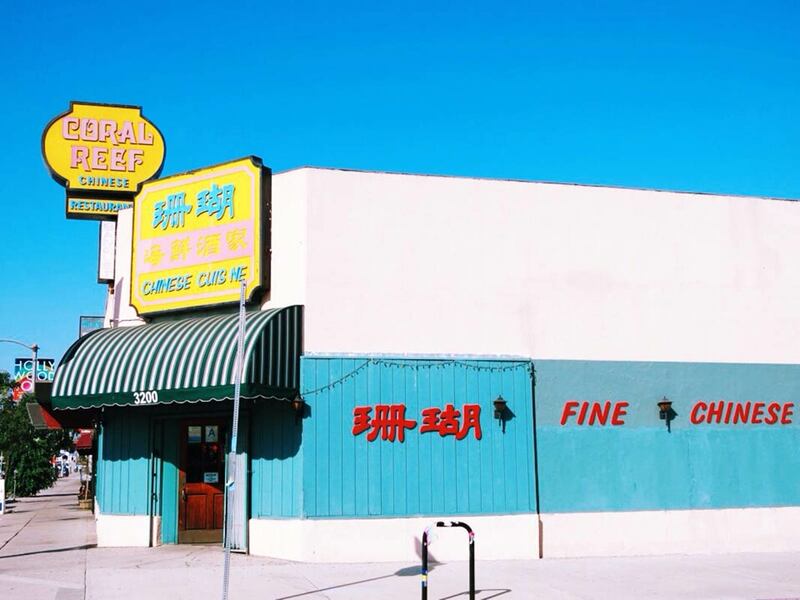 What is L.A.’s color palette? It’s cotton candy: bright colors, pastel colors. The blue sky is abundant, and green plants are everywhere. Juxtaposed with pastel and neutral colored buildings and pink sunsets, these colors always make L.A. feel radiant and fresh. You studied literature as undergrad at UCLA. How does that background shape your work today? Studying literature positively shaped how I interpret words, symbols, pictures, and the world around me. It made me curious about how words look, and this propelled my interest in design, composition, and especially lettering. I’m a curious person by nature, and my studies also taught me to never take things at face value, always ask questions, and see how things are connected. After college, you worked for an airline so that you could travel on the cheap. How did that experience change your perspective? Working for Virgin America gave me great travel benefits, and my side job as the illustration editor for Grain Edit, a blog focused on mid-century design, helped me build relationships with other artists. I used these benefits to visit artists and places I normally wouldn’t have had the chance to. Some of my favorite travel memories involve sharing a drink or meal with artists, visiting their studios, seeing where they like to hang out, and touring the city on the backs of their scooters or bicycles. I’ve done this in Portland, New York, London, Amsterdam, Manila, Seoul, and Chiang Mai. These experiences helped me contextualize how an artist creates work based on where they’re from, and see what other creative communities in the world are doing. When I travel to other cities today, I still reach out directly to artists based there and ask if they have time to meet up. Likewise, when an artist from out of town visits my city, they contact me and I round up creatives in the area for a get together. Since lettering is a big part of your work, do you pay particular attention to signs and typography when you travel? Of course! It would be hard not to. Signs and typography are everywhere, and they inform one’s surroundings. I’m always impressed by the lettering I see in the Philippines, especially on the tricycles and jeepneys. Drivers often decorate their own vehicles, and hand paint different names and sayings as dedications. The words represent who they are, where they’re from, and what they’re about. One thing that remains consistent is how clean, meticulous, and beautiful their lettering is. Following on your thought about how travel helped you contextualize how an artist creates work based on where they’re from, how does your L.A. upbringing show up in your work? L.A. is relaxed. It has an abundance of sunshine and good weather, and its proximity to the beach, mountains, and desert make it entirely unique. I often think about my happiest and most fun memories when I’m creating my illustrations and designs. The resulting work has a sunny disposition and is filled with bright colors. It has a laid back attitude. It is fun and not uptight or pretentious. If that’s not L.A. enough, then I’m not sure what is. What communities do you feel part of? How do those communities influence your work? Design and illustration, archives, music, and food are my communities. Music and food heavily influence my work as they put me in the mood to create: my illustrations are often food related, and my lettering is inspired by music I listen to. 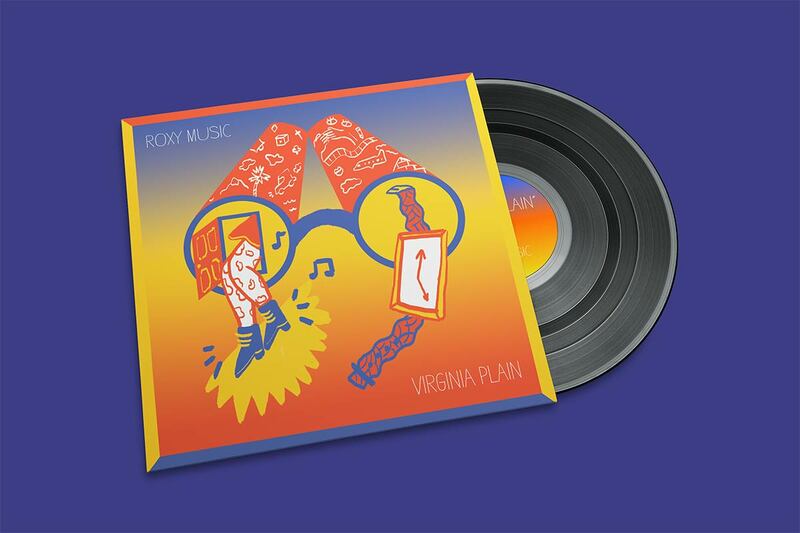 The most concrete example of this is a design I created for the Roxy Music song “Virginia Plain” for Secret 7″. The song has a vibrant, exuberant energy and lyrics that evoke images of travel and adventure, which I gravitated to. I used gold, orange, and blue to embody my favorite colors in a sunset. As far as archives are concerned, I designed the brand identity and developed the website for the Los Angeles Archivists Collective. I’m going on my second year with them, and just became the chair of their Press and Publications subcommittee. Where does your deep connection to music and food come from? My father grew up in L.A. in the 1970s, and he listened to a variety of music, ranging from soul, jazz, funk, and disco to heavy metal and classic rock. My love of music comes from him. When I was at UCLA, I co-hosted a radio show and made friends who were also enthusiastic about music. We would often go record shopping and exchange mixes. Today, no matter what city I’m living in or visiting, my love for music follows me and it’s an easy way to connect with people. In terms of food, both of my parents worked full-time, and yet they always managed to cook our family a hot meal. They taught me how to cook, and so many memories are connected to their food. Growing up in L.A. established my palette, and moving away and traveling expanded it. I ran a pop-up restaurant with friends in New York, and that helped me build a vocabulary that only other chefs or industry people understand. What is the story behind the most meaningful project you’ve worked on? 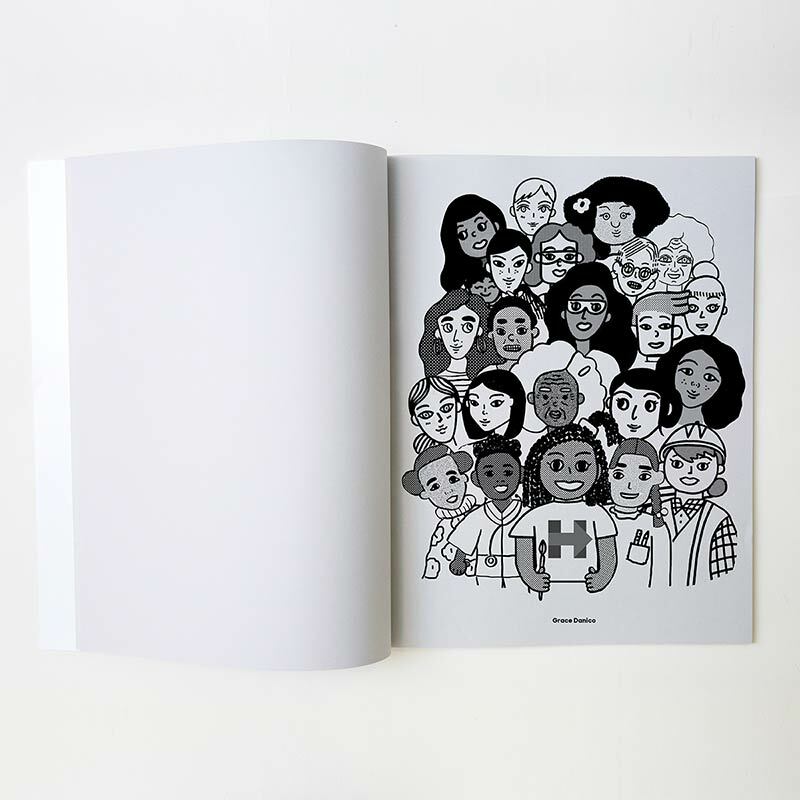 Two of the most meaningful projects I’ve worked on were a series of illustrations for Less than 100, a project started by designer Elana Schlenker about the wage gap between men and women, and a coloring book illustration for Hillary Clinton’s presidential campaign. The two projects highlight women’s struggles in a male dominated society. The Clinton campaign illustration was an honor. Not only was her run historic, but her loss was as well because she failed to shatter the glass ceiling that women have been struggling to break. 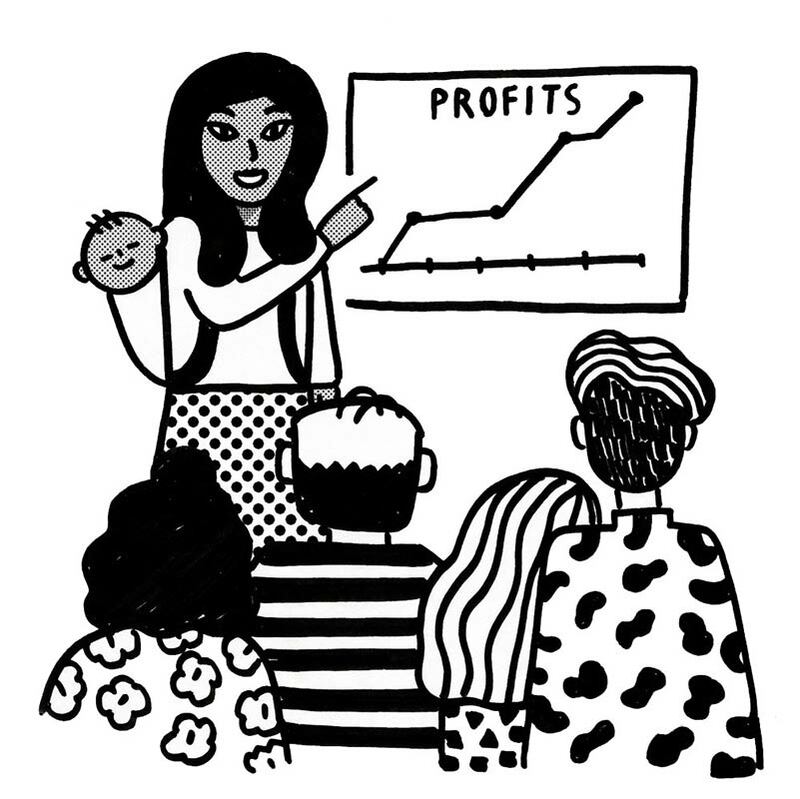 I hope my illustration inspired girls to have the strength to pursue any career they want. What have been your biggest challenges as a professional creative? I didn’t go to art school, so finding my style and being confident in my work have been big challenges. I am finally at a point where I feel comfortable in my process. I came to the realization that, no matter what medium I use, my style is consistent in that it embodies an optimistic, colorful, and playful sensibility. Since you have a master’s degree in library science, I’m curious to hear your thoughts on the importance of archiving and preserving our creative culture. Preserving history through documentation allows people to see changes in time. I often look at photographs of Los Angeles from different decades and compare them to memories I have of growing up here and to the present day. It’s always fascinating to see how time has affected a place and the communities that inhabit it. Working as an archivist is also an opportunity to influence the future — it’s a way to show future generations what our struggles and triumphs were. It’s really like cultural storytelling. A story is great on its own, but having provenance and artifacts from its origins make it even more captivating. Growing up in L.A. established my palette, and moving away and traveling expanded it. Everyone has a personal or professional history worth archiving. Collectively, these stories weave a tapestry that make up creative culture. For creatives producing work, it’s important to document the entire process of a project from inception to completion to give a viewer context and provide a full story. The Library of Congress has a great article on how to be your own personal archivist. I hope more people begin to utilize archives for research and inspiration. Do you often look to the past for inspiration? As an archivist, I love the past. 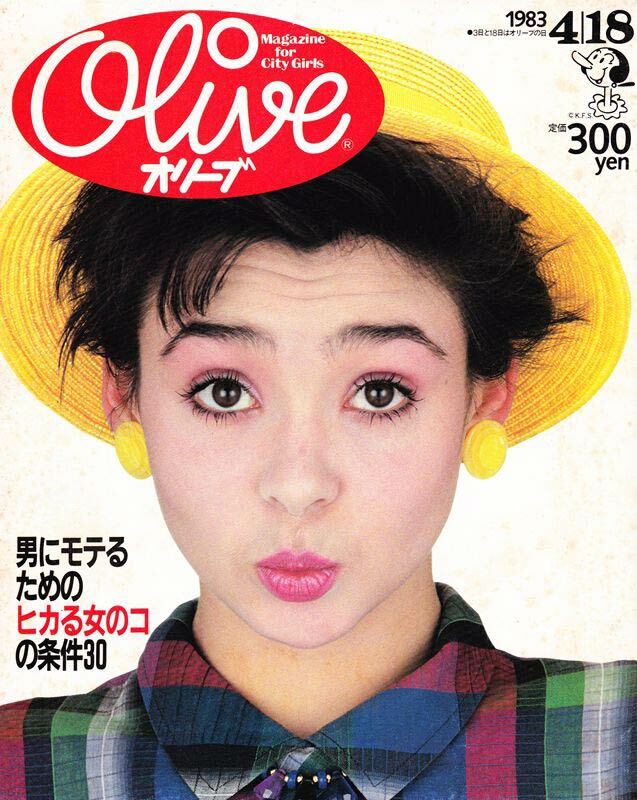 I’m heading to Japan this week, and can’t wait to look for Olive Magazine: The Magazine for City Girls, which was the companion to Popeye Magazine: The Magazine for City Boys. I enjoy looking at material made between 1950 and the early 1990s. A couple of out-of-print books that I wish I could get my hands on right now are “Esprit: The Comprehensive Design Principle” and “Esprit: The Making of an Image.” Folder Studio’s International Affairs blog has some choice books that I’d love to add to my collection. I also really enjoy looking at Gurafiku and the American Museum of Natural History’s digital special collections. What’s the last line of your unauthorized biography? She fell into a wormhole never to be seen again. I live in the neighborhood of Atwater Village. It’s close to the Los Angeles River, which is great for walks since it’s quiet, peaceful, and has a thriving wildlife population and a surprising amount of greenery. If you’re into music, I highly recommend Jacknife Records. They have a great collection and everything in the shop is high quality, whether it is the records themselves, tapes, or gear. For food in the neighborhood, I love the pupusas at El Buen Gusto, tacos at Tacos Villa Corona, and the lamb plate at Dune. I also highly recommend walking around Chinatown. It’s great for old sign hunting, food, and art. Definitely check out LASA in Unit 120 at Far East Plaza. Their food is a modern take on Filipino cuisine, and they make you feel like part of the family.